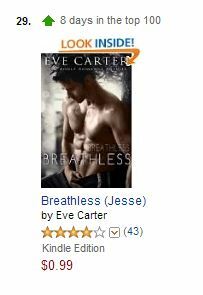 Eve Carter: 20,000 copies of Breathless sold! 20,000 copies of Breathless sold! $150 New Adult Gift Card Giveaway.